Learn TapRooT® in the beautiful Smoky Mountains! In less than a week, learn everything you need to know to conduct an investigation and develop effective Corrective Actions. A TapRooT® course can be a career booster or a professional game changer. From beginners to experts, TapRooT® Techniques are designed for everyone. You will learn to find and fix the root causes of incidents, accidents, quality problems, near-misses, operational errors, hospital sentinel events, and many other types of problems. Techniques learned include: SnapCharT®, Root Cause Tree® & Corrective Action Helper®, plus additional advanced topics such as CHAP, Human Engineering, Interviewing, Safeguard Analysis and Proactive Improvement. Upon course completion, attendees will receive a certificate and a 90-day subscription to TapRooT® VI, the online software service. Most importantly, you will have the advantage of professional training in your wheelhouse and on your resume! Attendees should bring safety incidents or quality issues from their workplace for a team exercise. These may be either written reports or, alternately, you may have knowledge of an incident without a written report. We’ll divide into teams of 2-4 people, with each team analyzing a different problem. For the 5-Day TapRooT® Advanced Root Cause Analysis Team Leader Training, we’ll gather at Hilton Garden Inn Gatlinburg on June 4. The inn offers out-the-door convenience to local highlights or for a stroll through downtown Gatlinburg. 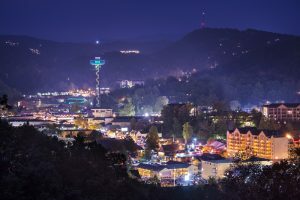 Wrapped by the hazy blue Smoky Mountains, Gatlinburg is beautiful by day and by night. Take a break from your coursework and soak up live music (and maybe some moonshine!) at one of these venues: Smoky Mountain Brewery, Crystelle Creek Restaurant and Grill, Ole Smoky Moonshine Distillery, Sugarlands Distilling Company. If you want to go farther afield, Townsend, Pigeon Forge, and Sevierville have much to offer. Catch a show at the Space Needle or Sweet Fanny Adams Theatre. Soar up Crockett Mountain on the Gatlinburg Sky Lift by night for one of the best panoramic overlooks of the mountain town. Ascend to Ober Gatlinburg for indoor ice skating, a wildlife encounter, the alpine slide, and a scenic chairlift. Hiking and biking are great ways to get next to nature in the Smokies. The sky’s the limit here: Cades Cove, Greenbriar, Mount LeConte, Ramsey Cascades, Laurel Falls, and so many more. Drive through Roaring Fork Motor Trail for a true taste of the grandeur of these ancient mountains. Insider’s tip: Roll your car windows down on this motor trail and listen to the force of the water. Discover gems to explore on our Gatlinburg Pinterest page and plan your TapRooT® trip to Gatlinburg today. 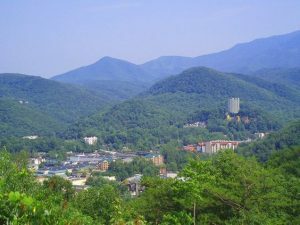 Register here to advance your professional development in beautiful Gatlinburg, Tennessee.